The gold, silver, platinum and nickel plating of modern and vintage watches and clocks is a great way to rejuvenate your beloved timepieces whether they are just old and worn or scratched from accidental damage. This process involves stripping and polishing before electroplating a precious metal over the base metal. Non-precious metals, such as nickel and chrome, are often utilized as a final finish too. We also electroplate wristwatch and clock parts such as bracelets, folding buckles, clasps, bezels, cases and crowns. Although gold plating is a common electroplated finish we also electroplate wristwatches in silver, white gold and nickel. 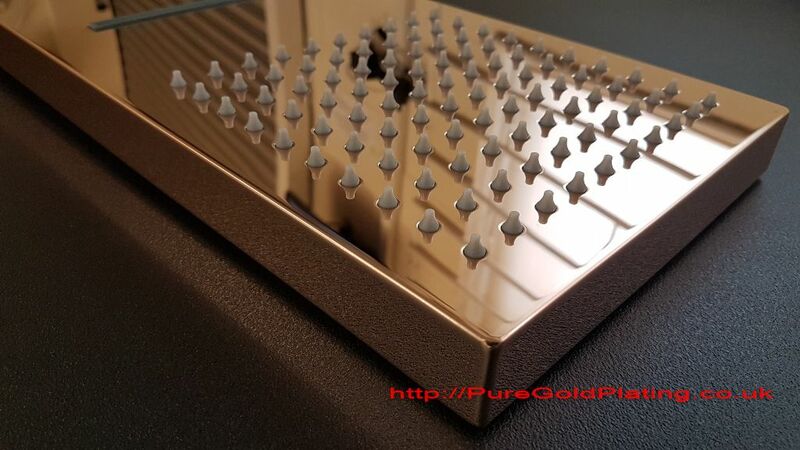 These often being 18 carat gold plated, we can, of course, colour match selected parts for that perfect finish thus avoiding the need and cost of having to have the whole piece gold plated. White gold plating is a very popular choice. 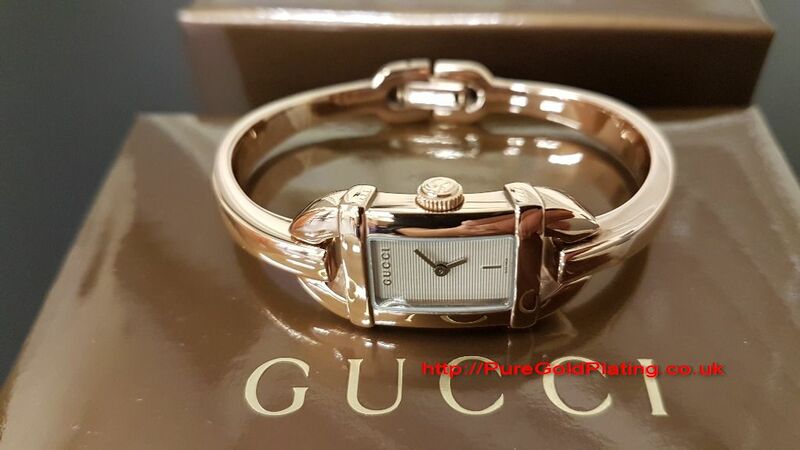 After all, a 9k yellow gold watch looks beautiful in 18k white gold plate. Platinum also makes a fabulous transformation as well as palladium, palladium being one of the six platinum-group metals. 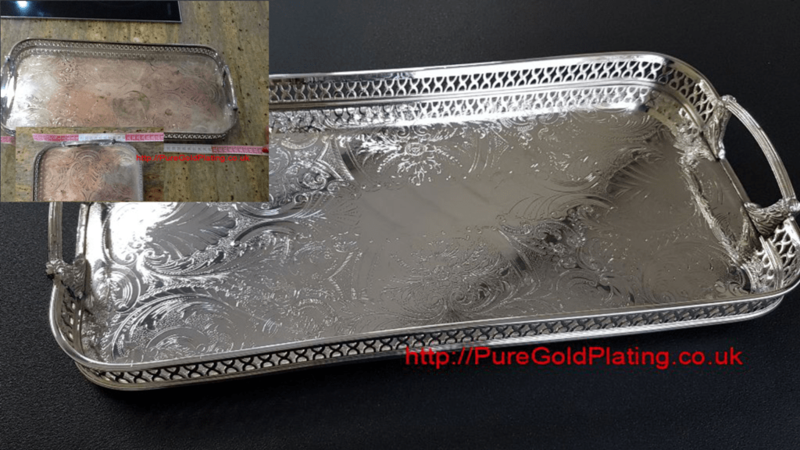 The appearance of palladium is very similar to that of platinum and it offers virtually the same outstanding durability and beauty at a reduced cost. We can easily produce a bi-metal gold plating effect should you require alternate watch bracelet links electroplated in yellow gold and white gold. 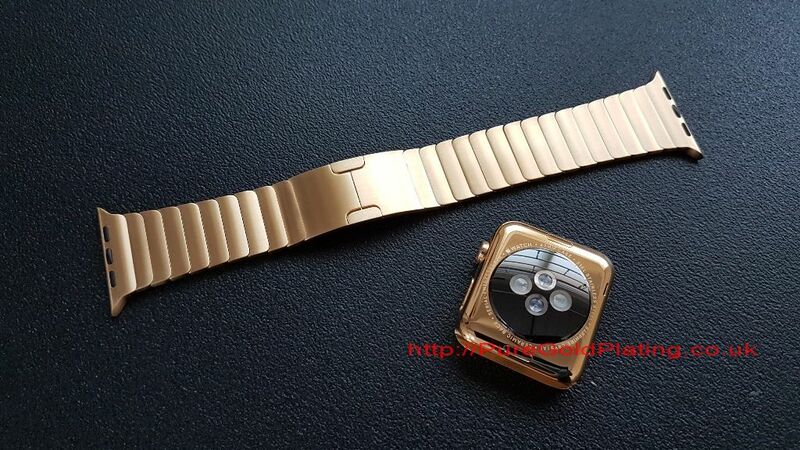 This can also be followed through onto the watch case by electroplating the case and bezel in contrasting gold plated finishes. We also offer nickel plating which is often favoured on pocket watches and chains. Gemstones or enamel inserts presents no problem for the gold electroplating process. Our electroplating bath temperatures and solutions are safe on precious and non-precious stones as well as enamel. Your treasured timepiece will be beautifully enhanced giving it a new lease of life that will last for many years. We offer a fast and safe gold plating service on all your wristwatches, pocket watches, clocks and parts. Please feel free to contact us for a no obligation quotation.